Cities of the Dead | Experience New Orleans! To visit our most notable cemetery, featuring the tomb of Marie Laveau, we recommend the Cemetery/Gris Gris tour by Gray Line. For a stop at one of our cemeteries as part of our larger city-wide tour, check out Gray Line's supercity tour! During this tour, wind your way through the historic French Quarter to St. Louis Cemetery #1, the home of New Orleans famed Voodoo Queen, Marie Leveau. Visit the beautiful historic homes of the Garden District and see Lafayette Cemetery #1, a historic 19th-century cemetery with above grounds tombs. 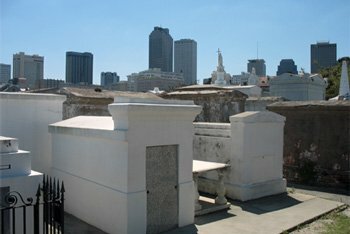 Go on a private tour of a famous New Orleans City of the Dead with Riverbend Limousine & Tours. Learn about old Southern burial customs and the famous New Orleanians who once walked these cobblestoned streets. Special guides are available for French- and Spanish-speaking travelers. There are 42 cemeteries in the New Orleans area, all with fascinating tales to tell. Learn about 10 of the cities most famous cemeteries below. Again, for your own safety, go with a group or with a tour. Open Monday through Saturday from 9 a.m. to 3:30 p.m., and Sunday from 9 a.m. to 12:30 p.m.
Open Monday through Saturday from 9 a.m. to 3 p.m., and Sunday from 9 a.m. to 12 p.m. The oldest of the seven municipal, city-operated cemeteries in New Orleans. 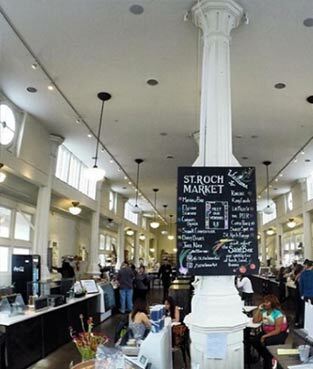 Open Monday through Sunday from 7 a.m. to 3 p.m.
Open daily from 7:30 a.m. to 5:30 p.m. Opened in 1852 by the Fireman’s Charitable and Benevolent Assoc. Open Monday through Sunday from 8:30 a.m. to 4:30 p.m.
Open Monday through Friday from 8 a.m. to 2:30 p.m., and Saturday from 8 a.m. to 12 p.m.